LED Driver supplier, importer, distributor, trader of meanwell in India is Sree Dhanam Automation Pvt Ltd in India Meanwell led driver is one of our core product in meanwell. Our Meanwell LED Driver are used in displays,LED bus display smps, LED signage, LED sign board, led lighting etc. Meanwell LED Driver requirement are necessary for led applications because these drivers will support more efficiently for the LED to perform by giving constant current and voltage. Meanwell deals other than LED driver products we also deals like SMPS, LED Drivers, DC-DC Convertors, AC-DC convertors, switch mode power supply,DC power supply, LED smps, all over India. Our major customers are presented for meanwell led driver in both North & South India. We are covering the following cities like Meanwell smps Chennai, Madurai, Meanwell LED driver Coimbatore, Pondicherry, meanwell LED Driver Bangalore,mangalore,udupi, LED Driver Chennai, Hubli, LED Hyderabad, Vizag, Meanwell smps Mumbai, Biwadi, Meanwell LED Driver Delhi, New Delhi, Pune, Noida, Haryana, LED Driver Faridabad, Ghaziabad, LED driver Gujarat, LED Driver Gurgaon,meanwell kerala,kochi,trivandrum, Baddi, Indore, Surat, LED Driver Ahmadabad, Vadodara, Vapi, LED driver Maharashtra, Kolkata, Westbengal, Udaipur, Jaipur, Punjab, Silvassa, Ludhiana, Kashmir, Goa, Jharkhand, Odisha, etc. 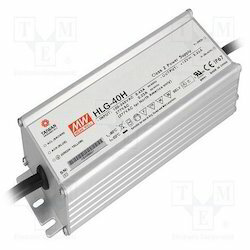 LED Driver Meanwell we have different types of series like: Meanwell HLG,HVG,HVGC,APV,LPV,APP,LPP,LPF,PCD,ELN,LP,PLM,PLC,PLN,HLN,LCM,HLP,HBG,ULP,HSG,HLG-C,HLG,CLG,CEN,HSG,LDD,SPD in Meanwell India. Meanwell India, Carlogavazzi India, Fotek India, authorized distributor is Sree Dhanam Automation Pvt Ltd Chennai Tamilnadu. We have marked a distinct and dynamic position in the market by providing a high quality array of HLG Series Driver. It is used in LED Street light, led display boards and other kind of led applications. Our offered driver is available in a variety of sizes, dimensions and other such specifications to choose from. This driver is precisely designed at our vendor’s highly advanced manufacturing unit following industry defined guidelines. The offered driver can also be availed from us at the industry leading prices. Owing to our proficiency in this domain, we are engaged in offering our clients with a wide gamut of APV Series LED Driver. 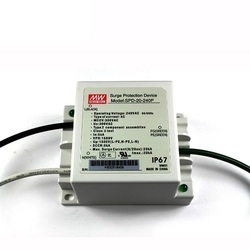 It is designed with constant voltage and current with overvoltage and over load protection. Being a quality-oriented organization, we assure our clients that this driver is best in quality. Our vendor’s skilled professionals only utilize fine quality raw material, while manufacturing the entire range. Moreover, our offered driver can be availed in a wide range of sizes, as per the requirements of our esteemed clients. 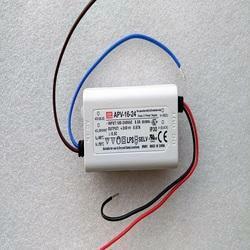 We are recognized as one of the prominent organizations of a wide gamut of CEN Series LED Driver. Provided driver is manufactured from using superior quality aluminium and advanced technology. While manufacturing the offered range of driver, our vendor’s lay special emphasis on the overall quality and durability. Additionally, our quality controllers keep an eye on the entire range to avoid any possibility of flaw.